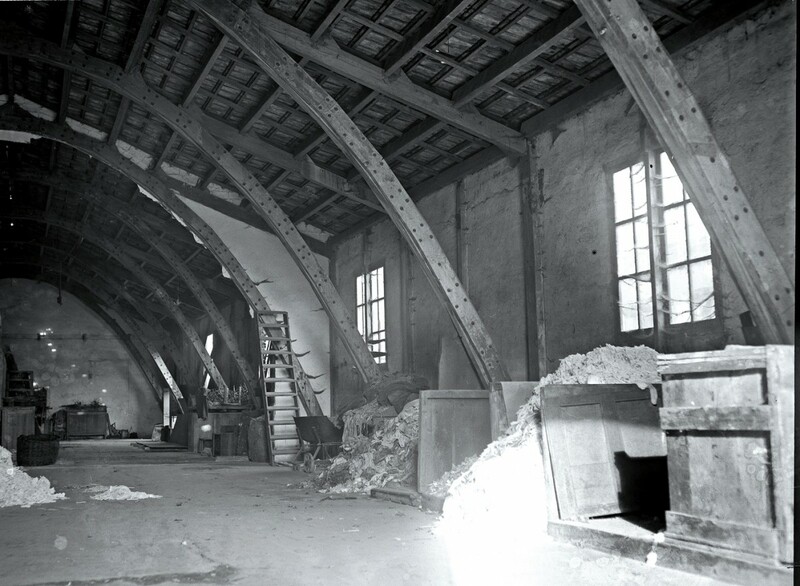 Interior of the cooperative’s bleaching room. 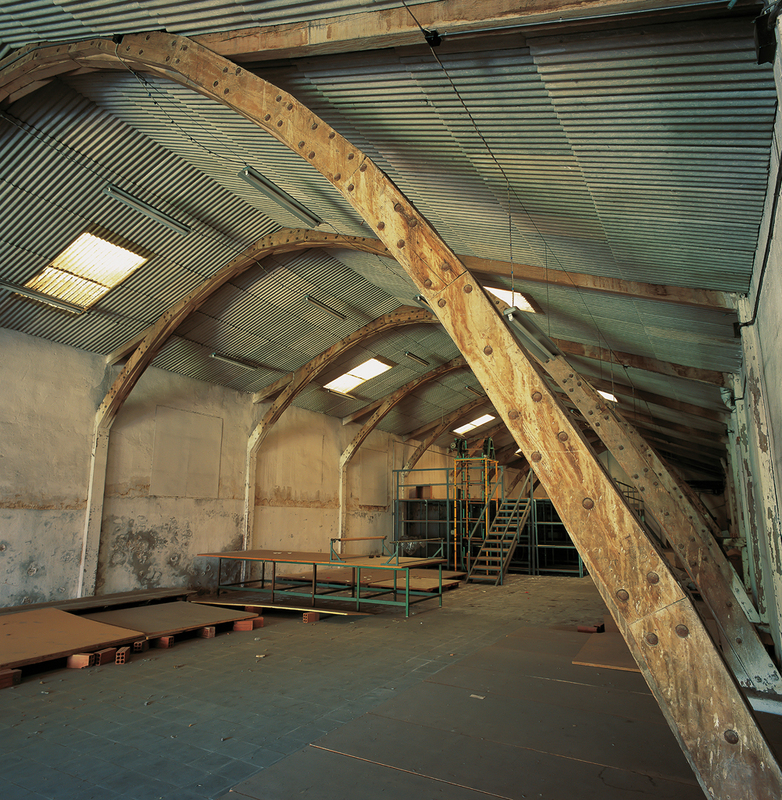 Interior of the shed in the period when it was used as a warehouse. 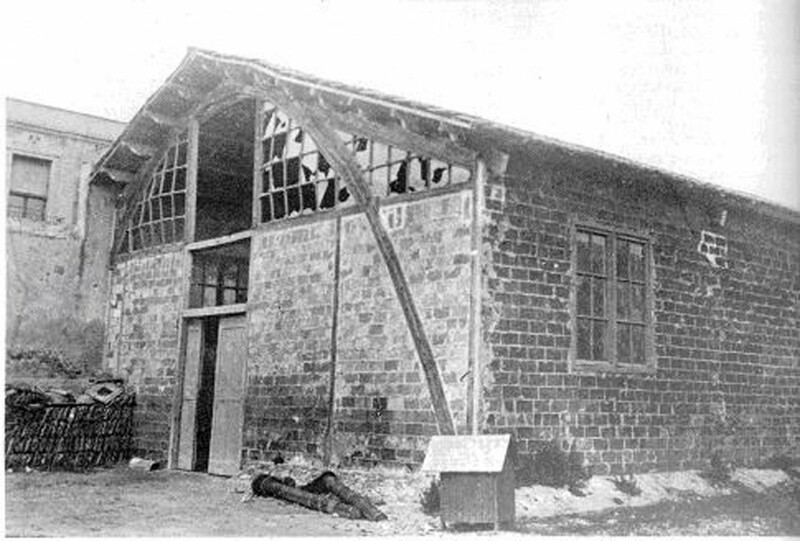 Exterior of the bleaching shed. 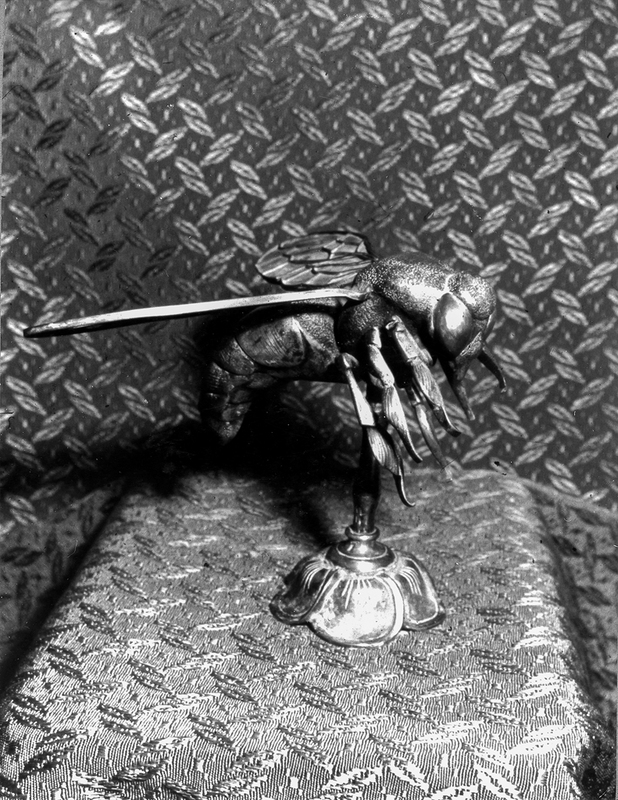 The bee which crowned the standard of the Mataró Workers Cooperative (La Obrera Mataronense). 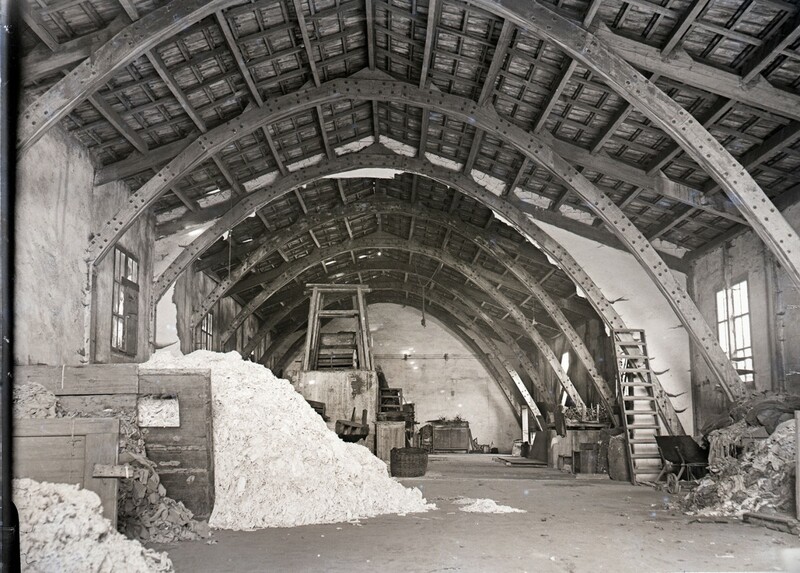 View of the bleaching shed before its restoration. 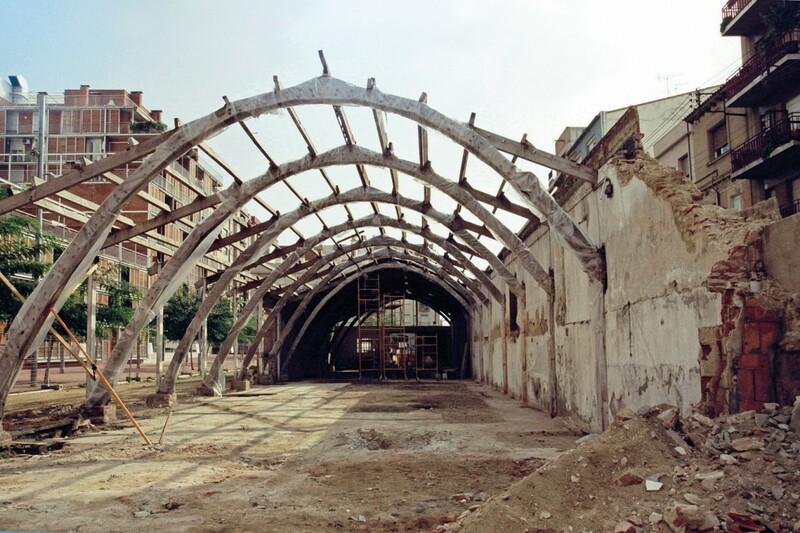 Deconstruction of the arches supporting the shed. 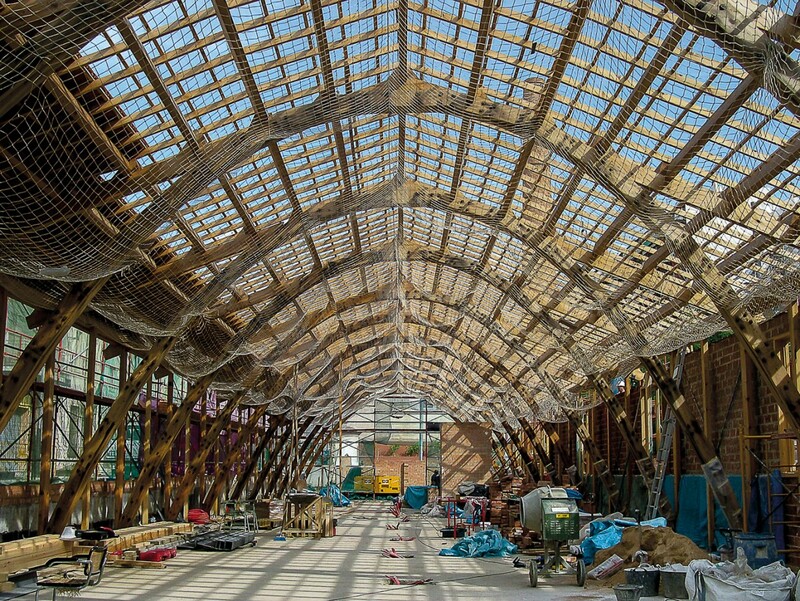 View of the interior of the shed, according to the restoration project of Manuel Brullet i Tenas. 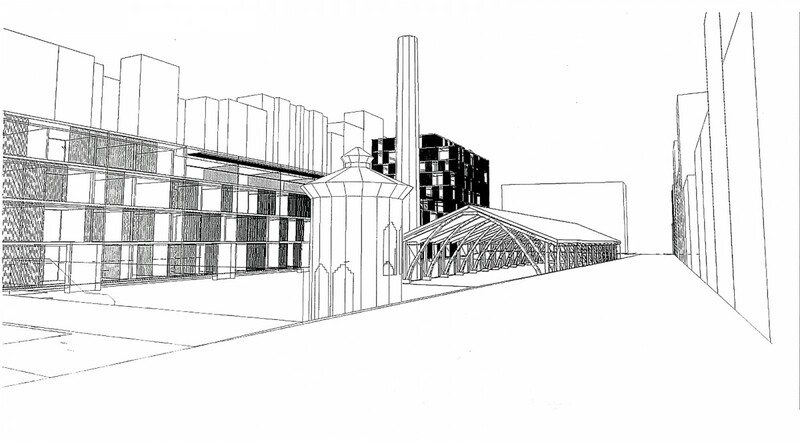 Proposal for the volumetric arrangement of the cooperative complex, according to the restoration project of Manuel Brullet i Tenas. 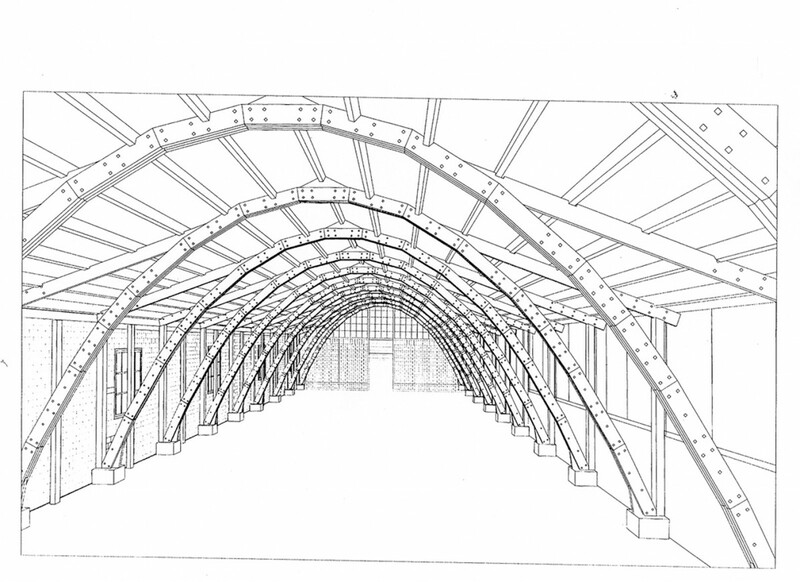 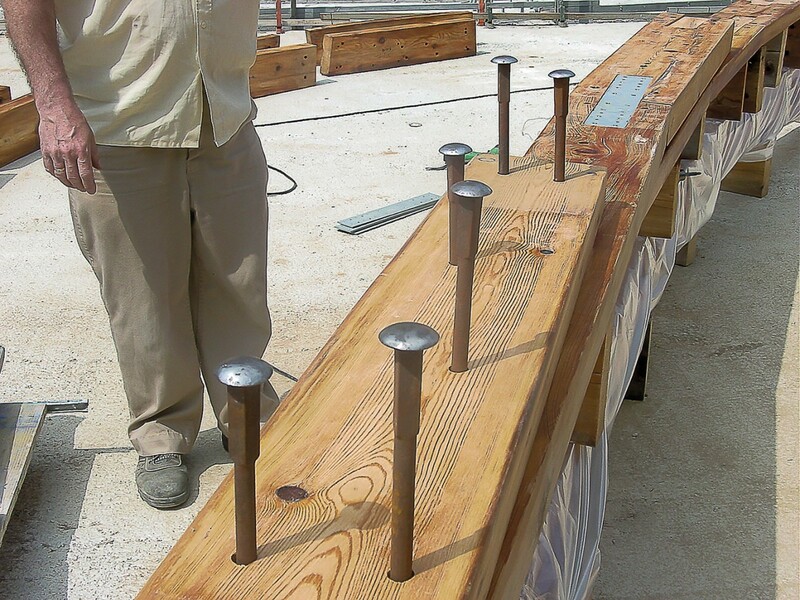 View of the reconstruction of an arch on the ground, showing how its component boards work and how they are secured by bolts. 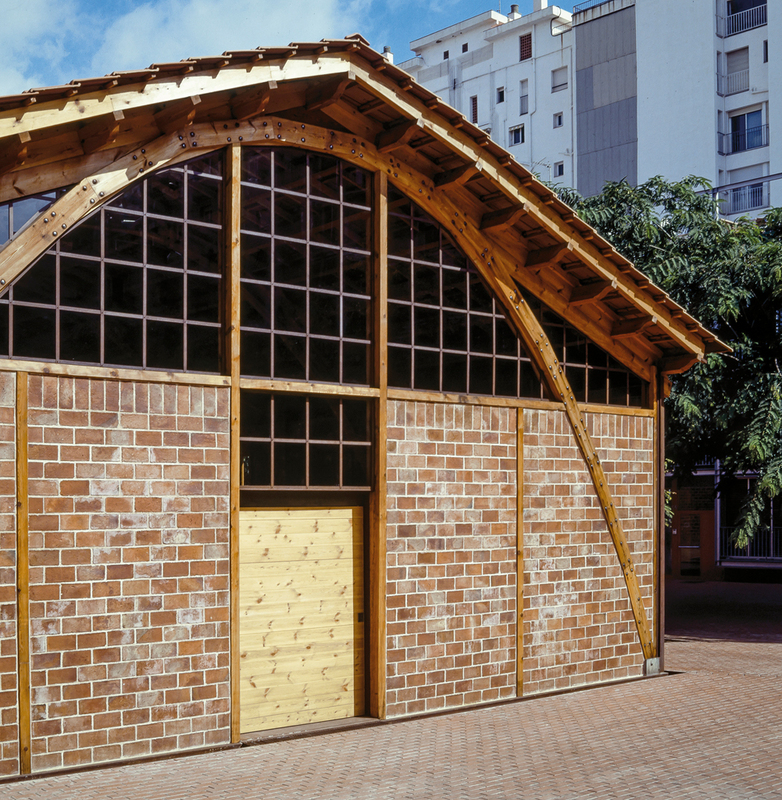 Reconstruction of the shed before laying the roof tiles. 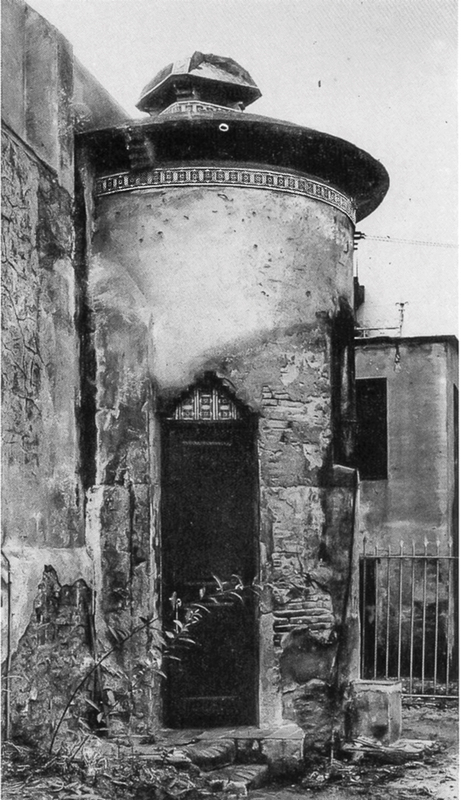 Façade of the Nau Gaudí after the reconstruction works.